At Exciting Windows! 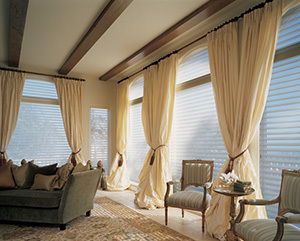 we sell all types of window treatments including both hard and soft window coverings. We sell blinds, shades and shutters from major manufacturers and we custom design and fabricate draperies, valances, and cornices. To compliment your custom window coverings, we offer decorative hardware such as curtain rods and finials, plus we offer custom-made bedspreads, comforter ensembles, headboards, decorative pillows and table runners. Exciting Windows! brings you unmatched service with these four remarkable warranties! We assure you that the price you pay will be at or below any competitor. Place your order now to get your project started. Continue shopping if you like... we are confident any price comparison will prove that you get the best value from us. We guarantee that your consultant will arrive at your home on time or withinDrapery for windows one hour of the appointment time scheduled. Our process starts with a Free in-home (or office) consultation with an experienced window treatment designer. Meeting in your space allows us to tour the areas that need window coverings, and create a custom solution ideal for your price range, personal style and existing décor. We start our consultation listening to your ideas and discussing the possibilities. Once we have come up with a direction and a price range, your designer will bring in samples of window coverings or fabrics from which you can choose. In addition to a selection of fabrics and styles, our designers bring innovative ideas to help you choose a unique look for your home. After you have selected the perfect window coverings for your home, our professional designers will take precise measurements and provide you with an immediate cost quotation. From that point, the designer will place your order and the process of creating your unique look will begin. Once your window coverings are ready, our professional installers will call you to schedule your installation. Our professional installers do a great job of installing your window coverings and are guaranteed to be on-time*. Our first-class service does not end at installation. Exciting Windows also offers professional, on-site window covering cleaning, saving you costly trips to the dry cleaner, and preserving the condition of your new, custom window coverings. At Exciting Windows! 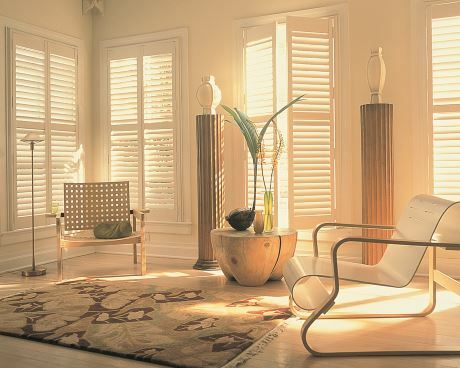 we are proud to offer hard window treatments (blinds, shades, and shutters) from name brand manufacturers such as: Hunter Douglas, Comfortex, Lafayette, Norman and Horizon Window Fashions. 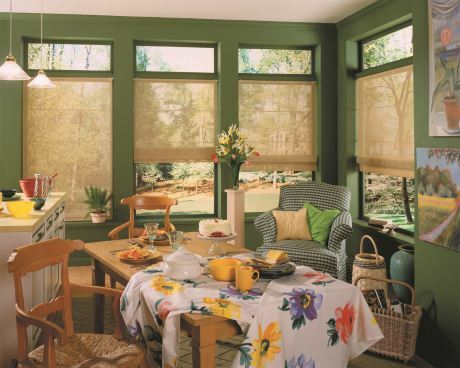 Our product offerings include: Honeycomb Shades, Wood blinds, Shutters, Horizontal Blinds, Vertical Blinds, Roman Shades, Silhouette, Duette, Luminette, Roller Shades, Panel Track, and Woven Naturals to name just a few. 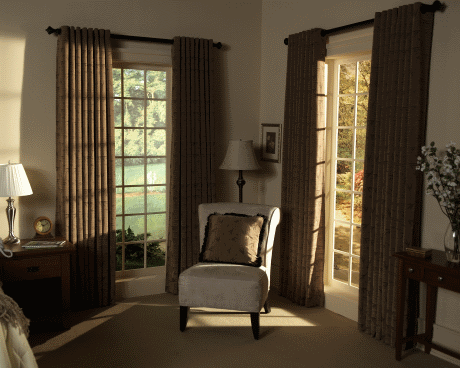 Our soft window treatment offerings are custom made at our Colorado Springs studio and include: custom draperies (drapes), valances, top treatments, cornices, swags, bed spreads, comfortor ensembles, headboards, decorative pillows and table runners.